Is that going to be your legacy as well? I hope not. Our smiles are the entranceway to our souls. They are also an open invitation for people to collaborate with you and building a great dialog and rapport with you. A smile together with a genuine great attitude defuses many a bad customer service issue and most of all will lead to meeting many new people. Give it a try. Smile when you are on the phone, at work, and when you get home. Watch how much of a difference that makes. Compare that to when you are in a bad mood and your are grumpy. Both of your moods and attitudes rub off on others. Which one do you like better? Choose wisely. 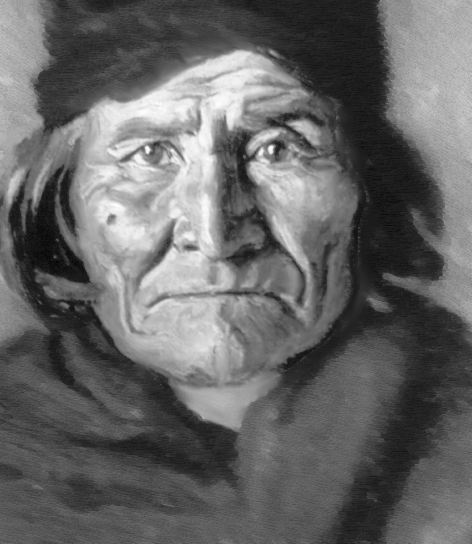 Most of all choose your attitude wisely, otherwise you may end up not smiling like Geronimo.